Mission NewEnergy Limited (ASX:MBT) (OTCMKTS:MNELF) announces today that the proposed acquisition between Playup and 123gaming, as announced on August 1, 2018, has failed to proceed. Mission NewEnergy Limited (ASX:MBT) (OTCMKTS:MNELF) announces today that PlayUp Limited has not paid MBT amounts owed under the terms of the agreement as announced on October 3, 2018. As a result of this non-payment, MBT has briefed its lawyers to recover the debt by all means necessary and review the status of the contract in light of PlayUp&apos;s default. The PlayChip Foundation has announced the listing of its PlayChip token on Independent Reserve, Australia&apos;s first regulated cryptocurrency exchange. Draftstars, one of Australia&apos;s most recognised fantasy sports platforms, has been launched in one of the fastest growing fantasy sports markets in the world. Draftstars India drew 2300 registrations in its first week of operation, with tens of thousands of Rupees being paid out in its initial few days. PlayChip, the Universal Gaming Token, has announced its decision to forego its public token sale after entering a number of strategic business partnerships, as well as incentivising token utilisation amongst its active user base. 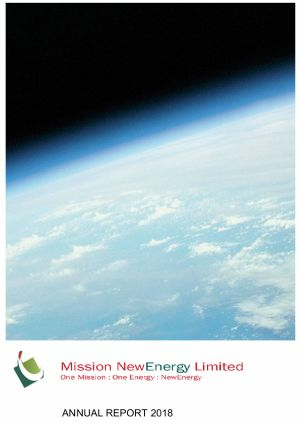 Mission NewEnergy Limited (ASX:MBT) (OTCMKTS:MNELF) provides the Company&apos;s Annual Report to shareholders. 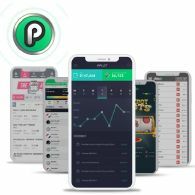 PlayUp is gearing up to deliver the world&apos;s first online gaming ecosystem with a native token and exchange on December 19th. 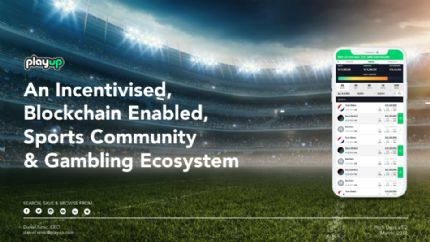 The PlayChip token, currently in use and available to their user base of over 1,000,000, will be one of the world&apos;s first to have genuine utility value prior to its listing date. The PlayChip has continued its heavy role in sports sponsorships, with the Universal Gaming Token adding highly-regarded striking coach Owen Roddy, amongst other members of Team McGregor, to its team of ambassadors. The company is also negotiating an ambassador role with McGregor himself. PlayChip, the Universal Gaming Token, has announced the appointment of prominent Australian businessman Brett King to their advisory board. A record-breaking prize pool was paid out to more than 1600 savvy punters by Australia&apos;s biggest fantasy sports platform, Draftstars, following the conclusion of the AFL Grand Final. 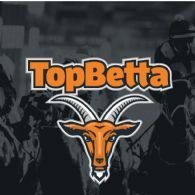 The final capped the biggest year in the platform&apos;s history, after being acquired earlier in the year by fellow Australian fantasy sports operator PlayUp. Australian gaming token PlayChip has announced its official listing on HitBTC, a top-10 cryptocurrency exchange by market cap. The PlayChip Foundation has been registered as the first digital currency exchange in Australia with its own native token. Last week the PlayChip Foundation Ltd was registered to provide Digital Currency Exchange services by Australian regulatory body AUSTRAC. 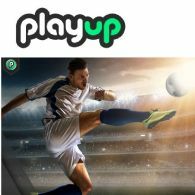 PlayUp Ltd has announced the latest addition to its growing online gaming ecosystem -- PlayUp Bet. 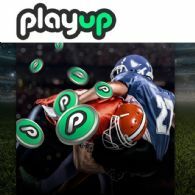 PlayUp Limited (PlayUp) has acquired online wagering operator betting.club, as part of its continued growth strategy. 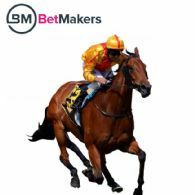 betting.club was acquired from its owners which comprised three of Sydney&apos;s leading club organisations - the iconic Mounties Group, Campsie RSL and Club Rivers. 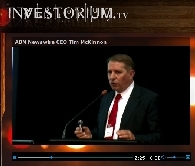 PlayUp.com ICO of the PlayChip, IndependentReserve.com, Blockchain196.com and Cryptyk.com video presentations from the recent Investorium.tv in Sydney are now available for watching. PlayUp Australia Pty Limited has acquired Sydney-based ClassicBet, in a deal that will immediately increase PlayUp&apos;s annual gross gaming turnover by more than AUD$200M. 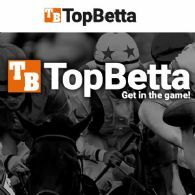 The deal will complete once licensing approvals are granted in either the Northern Territory Racing Commission or Harness Racing NSW. 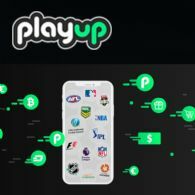 Australia-based PlayUp Limited, the developer, owner and operator of leading-edge technologies focused on live sports entertainment in the online gaming and daily fantasy sports sector, has acquired Draftstars from CrownBet. 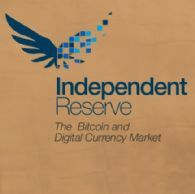 Independent Reserve was founded in 2013 in Sydney, Australia with the mission to transform digital currency technology into secure, robust and regulated financial services, and do things the right way. 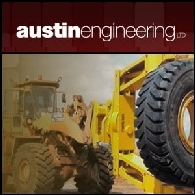 Their foundation is a strong and experienced executive team, with a broad range of skills in corporate leadership, financial markets, software engineering and regulatory compliance. Mission NewEnergy Limited (ASX:MBT) (OTCMKTS:MNELF) announces today that it has entered into a Heads of Agreement to acquire, subject to satisfaction of conditions, PlayUp Limited ("PLA") by way of issuance of ASX and US Securities and Exchange Commission registered shares. 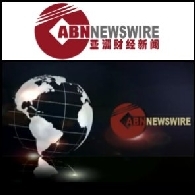 Mission NewEnergy Ltd (ASX:MBT) (OTCMKTS:MNELF) is pleased to announce the appointment of Dato&apos; Mohamed Nizam bin Tun Abdul Razak as Advisor to the Board effective 16 December 2014. 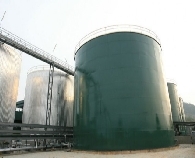 Mission NewEnergy Limited (ASX:MBT) (OTCMKTS:MNELF)&apos;s wholly owned Malaysian subsidiary, Mission Biofuels Sdn Bhd (MBSB), has filed a counterclaim seeking specific performance (completion of the refinery) and to recover contractual damages including liquidated damages from late delivery, interest cost, cost incurred on behalf of KNM and other wasted expenditures. 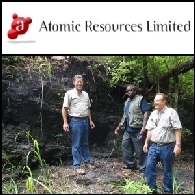 Asian Activities Report for April 21, 2011 includes: Atomic Resources Limited (ASX:ATQ) signed agreements to acquire coal leases in southwest Tanzania; Western Areas NL (ASX:WSA) announced an update of the Mineral Resource at Flying Fox nickel mine; Mission NewEnergy Limited (ASX:MBT) (NASDAQ:MNEL) announced the pricing of its U.S. public offering; Senex Energy Limited (ASX:SXY) is to test unconventional gas potential in South Australia. Mission NewEnergy Limited (ASX:MBT) (PINK:MIBFF), a vertically integrated biodiesel producer and one of the world&apos;s largest Jatropha plantation companies, is pleased to announce that it has won a global tender by Chevron Technologies Ventures for the supply of Crude Jatropha Oil into the United States. Australian Market Report of October 22, 2010 includes: Austin Engineering (ASX:ANG) has expanded its operations into the strategically important Hunter Valley coal mining region; Mission NewEnergy (ASX:MBT) has made its first sale and shipment of crude Jatropha oil to one of Europe&apos;s largest power companies; Catalpa Resources (ASX:CAH) reports exploration assay results from a surface diamond drill program; Quest Petroleum NL (ASX:QPN) has entered into a heads of agreement to subscribe for 6.2m shares (or 14.5%) of the issued capital in Merric Capital. 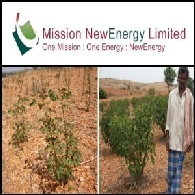 Mission NewEnergy Limited (ASX:MBT) (PINK:MIBFF) a biodiesel refiner and one of the world&apos;s largest Jatropha plantation companies is pleased to announce that it has completed a placement of A$9 million. 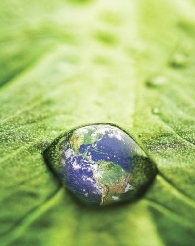 Mission NewEnergy Limited (ASX:MBT) (PINK:MIBFF) is pleased to announce that the German Federal Agency for Agriculture and Food "BLV" has approved the International Sustainability and Carbon Certification system "ISCC" as the first recognized voluntary biofuels standard to comply with the requirements of the German BioNachV legislation. 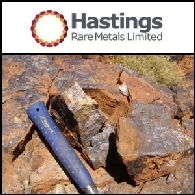 ABN Newswire stocks to watch today include: Galaxy Resources Limited (ASX:GXY) (PINK:GALXF), Murchison Metals Limited (ASX:MMX) (PINK:MUMTF), Otto Energy Limited (ASX:OEL) (PINK:OTTEF), Mission NewEnergy Limited (ASX:MBT), and Coalspur Mines Limited (ASX:CPL) (PINK:CSPZF). Mission NewEnergy Limited (ASX:MBT) is pleased to announce that its wholly owned subsidiary Mission Biotechnologies SDN BHD, which operates Mission&apos;s 100,000 tpa biodiesel refinery, has received the renown ISO9001:2008 certification. Mission NewEnergy Limited (ASX:MBT) a biodiesel refiner and one of the world&apos;s largest Jatropha plantation companies by acreage announced that it has entered into a binding five-year biodiesel Supply Agreement with Valero Marketing and Supply Company, a subsidiary of Valero Energy Corporation (NYSE:VLO) ("Valero"), a fortune 500 hundred company and the largest independent crude-oil refiner and marketer in North America. 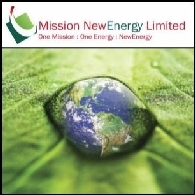 Mission NewEnergy Limited (ASX:MBT)(PINK:MIBFF) has placed a further 75,862,069 Units pursuant to its private placement announced on 28th April 2009, raising an additional US$11M. This, coupled with the successful placement of 24,137,931 Units announced on 28th April 2009, brings the total share issue to 100,000,000 Units, raising US$14.5mn. This amount does not include any additional capital that may be raised on exercise of warrants. 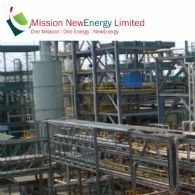 Mission NewEnergy Limited (ASX:MBT)(PINK:MIBFF) has commenced commissioning of its second biodiesel refinery, which is now mechanically complete. Mission NewEnergy Limited (ASX:MBT)(PINK:MIBFF) is pleased to announce that subject to the necessary approvals having had and obtained, Ir Lee Swee Eng ("Ir Lee") has agreed to invest US$12.325 million in Mission via subscription for 85 million ordinary shares and warrants under the same financial terms as Mission&apos;s Private Placement announced on 28 April 2009. 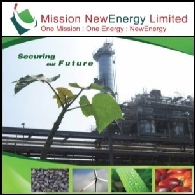 Mission NewEnergy Limited (ASX:MBT)(PINK:MIBFF), as one of the very few biofuels companies that has successfully progressed beyond the project development stage into ongoing profitable operations, was delighted to post its maiden profit in financial year 2008 and expects to operate profitably in 2009.